Nothing is better than a tasty dessert that is easy to make but says "I LOVE YOU" this Valentine's Day! This Valentine's Day let Fiber One and Chex Mix make your Valentine's Day desserts tasty, easy to make and sure to show your love to a loved one! Roses are red, violets are blue. If you want my heart, this dessert will more than do. Cut a heart shape from the brownie using a 2 inch cookie cutter. While eating the scraps, spoon whipped topping on a plate and top with yogurt. 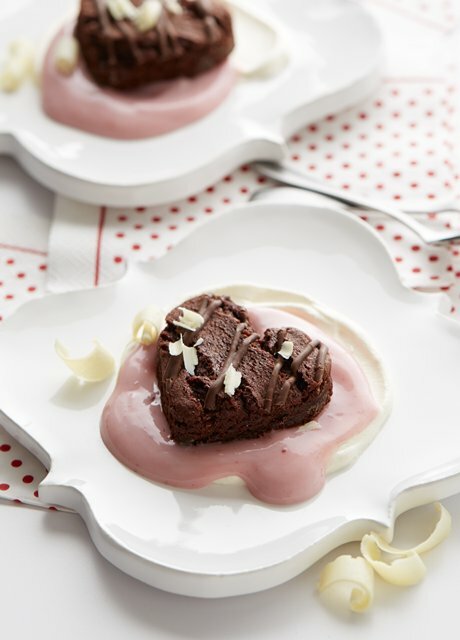 Delicately drop the brownie on the yogurt and sprinkle with white chocolate curls. This brownie will always love you. 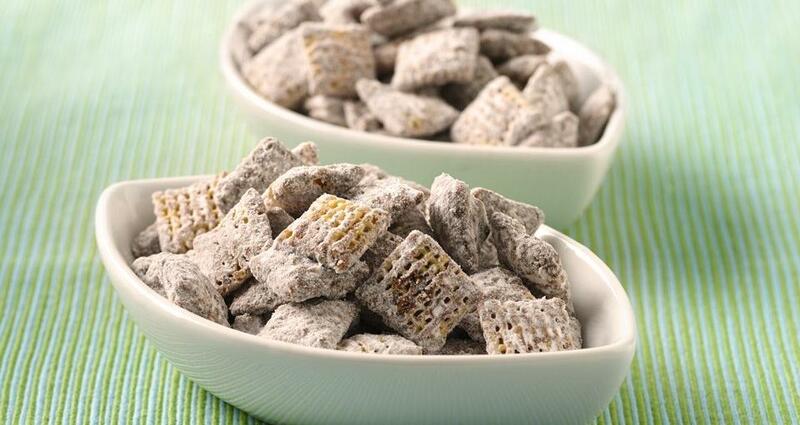 Also, for a tasty, fun snack this Valentine's Day, check out Chex Mix Muddy Buddies. Chex Mix offers three different Muddy Buddies® snack mixes: Brownie Supreme, Cookies and Cream, and Peanut Butter Chocolate. They are a unique combination of corn chex pieces and cookies-and-cream flavor, peanut butter or brownie taste dusted with a sweet powdery coating.